Using a fitness tracker to know how much exercise you’ve had has to be a good thing, but when you can also get mobile phone notifications – and not go through the drudgery of nightly charging – there are even more reasons to be excited about wrapping a fitness tracker around your wrist. The Charge 3 looks a lot like the Charge 2 thanks to its curved, rectangular OLED screen, aluminium case and silicon straps. But more than a few compelling tweaks have been added. One of the most noticeable is that the Charge 3 now provides smartphone notifications just like its watch counterpart, the Fitbit Versa. 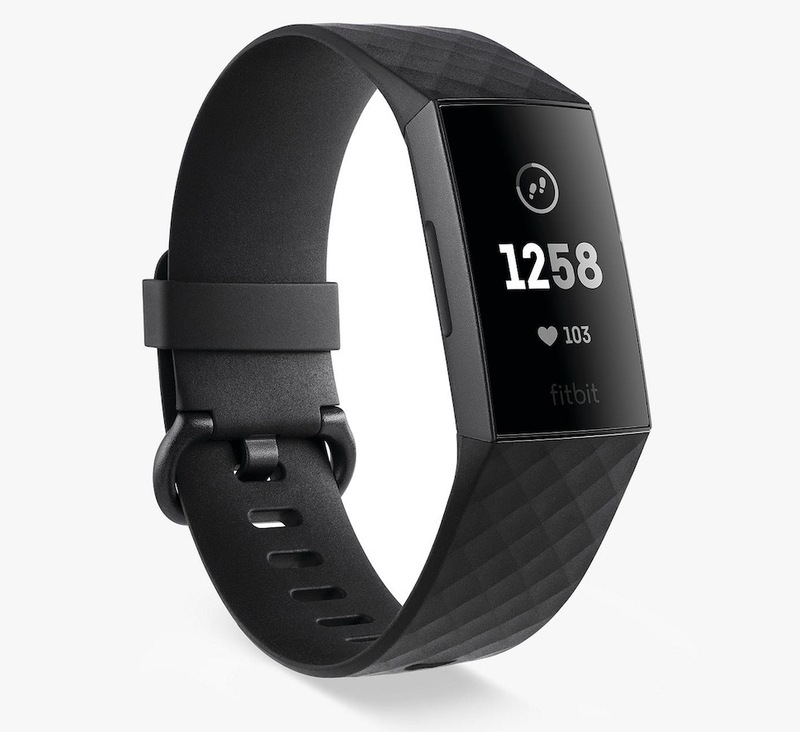 Fitbit has put quite a bit of effort into refining the design of the latest model. It doesn’t look super original or unique, but why change what already works well? It doesn’t look too big on a woman’s wrist, but it doesn’t look too small when worn by a bloke either. The curved design also means that it looks thinner than a lot of other wearables, and doesn’t get in the way of sleeves etc. Fitbit has stuck with the tried and proven design of the charge 2, choosing subtle but useful refinements instead of wholesale changes. One of the more noticeable improvements is lack of physical button, with the new model instead equipped with an inductive button that provides tactile feedback in the form of vibration when pressed. Most of my interaction with the Charge 3 was via its touch-sensitive screen, and the button got mostly used as a back button. This arrangement also makes for zippy navigation. With a tap on the screen or a press of the side button or even a flick of my wrist, the display is awake. Sometimes the touchscreen was unresponsive, and I’d find myself tapping it several times while cursing under my breath. Either way, the inductive button is a clever move. It doesn’t stick out like a physical button, which makes for a more streamlined design. Because of this, the device is unobtrusive to the point where I often forgot I was wearing it – at least until I got a phone notification and it vibrated. I do however wish they’d stop shipping their gear with silicon straps as these are as uncomfortable as hell and react with my skin. There is, however, a good selection of replacement straps, ranging from leather through to alloy or fabric. 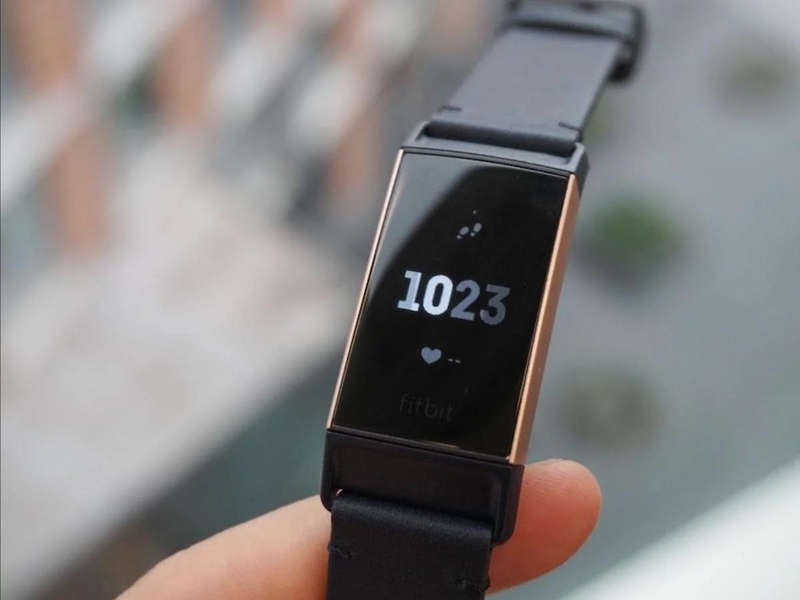 The home-screen displays time, step count and heart rate (what is displayed can be customised thanks to a numerous watch faces available on the Fitbit smartphone app). Swiping up brings up a personalised dashboard where you can see your health stats such as calories burned, female health tracking, active minutes and so-on. Which stats are displayed can be tweaked via the Fitbit smartphone app. Swiping left won’t get you a Tinder date, but it will cycle through exercise, weather, relaxation, timer, alarm and setting modes. For a quick check of notifications, swiping downwards did the trick. The Charge 3’s mono OLED display is bright and easy to read outdoors. It was smooth when swiping through the different modes, but I did encounter some lag issues when checking notifications and the personal dashboard. Tracking steps might be handy, but there’s also a lot more on offer here too, including tracking heart rate and measuring blood oxygen levels. 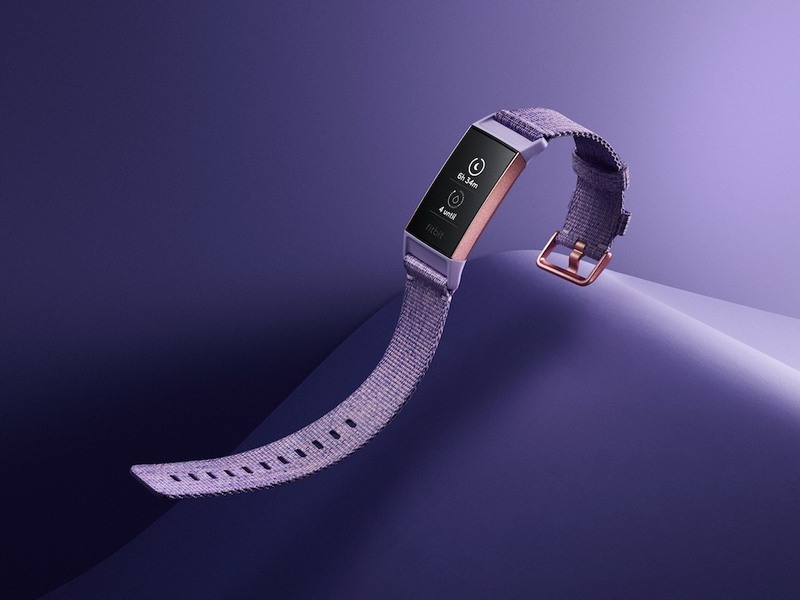 The Charge 3 can also track sleep patterns and Fitbit is offering a Sleep Score programme designed to help wearers get a better night’s sleep. The sleep tracking deserves special mention – it provides real in-depth analysis and can show you how much time was spent in a light, deep and REM sleep state, plus how long you were awake. I can’t speak on how accurately it tracked each sleep stage, but it did get the amount of sleep (never enough) that I got. Water resistant to 50 meters, the Charge 3 also has a swim mode to track laps. Other workouts can also get tracked, and users can pre-set specific goals ahead of workouts. Setting a goal of say, two miles before a run is also possible with the device telling you how much longer you need to keep running. The goals needn’t just apply to distances, they can also apply to calories or time for the 15 different exercises which can be tracked. One thing lacking is a built-in GPS. Annoyingly, mapping your run’s progress means taking your smartphone too. There are good reasons for this though, as adding a GPS receiver and antenna would have impacted on the size of the battery able to be used and its battery-life. There’s no music playback either. 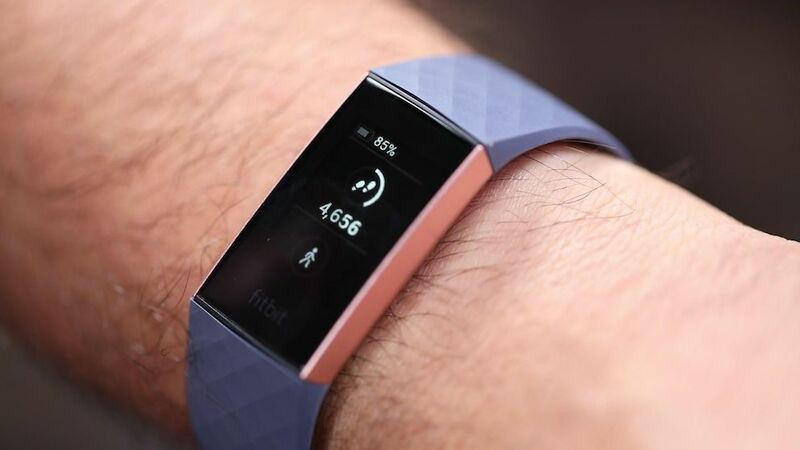 Fitbit hopes to add music controls to drive a phone’s playback in future software updates – again this is probably a compromise that comes down to size and battery life. Another drawback is a design flaw that afflicts many Fitbit devices – if you travel, it can take anything up to a day (or longer) for it to synch up to a new time-zone. My Galaxy Watch synched straight away via my phone. It’s a shortcoming that’ll most likely frustrate many travellers. These grizzles aside, its heart rate sensor matched what the Galaxy Watch reported. In use, the Charge 3 reported 78 BPM while the Galaxy watch said 72 BPM, which is close enough. The Charge can see calls, text messages, and calendar notifications when paired with a smartphone. It also lets you handily reply to text messages (Android only) using pre-set Quick Replies, (you can craft up to five custom replies up to 60 characters in length). One of the most important specs for any smart wearable is battery life. Unlike the Apple Watch or a Google Wear OS smartwatch, the Charge 3 keeps on trucking for close to seven days, (your mileage will vary with use) which isn’t too bad at all. The Fitbit Charge 3 is a slick fitness tracker with some smartwatch benefits. Its battery life, heart rate and fitness tracking capabilities plus water resistance and reasonable sticker price make it a good buy.